Your social media presence helps you engage consumers and stay in tune with the market. But it also paves the way for brand impersonators, counterfeiters and scammers to exploit your brand. 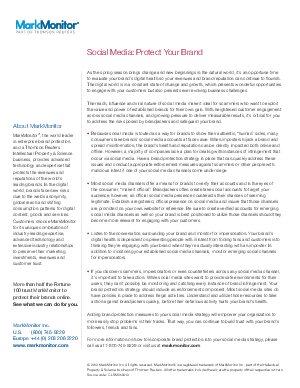 Download this informative checklist to learn practical, proven steps you can take to complete your social media strategy–and preserve brand health and customer trust.